THE Ladies Gaelic Football Association is pleased to announce the 2018 LGFA Volunteer of the Year award winners. Administrators, coaches and media are among those honoured across eight categories. 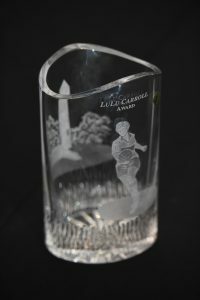 The Overall Volunteer of the Year, Edel Conway, will receive the Lulu Carroll award, named after the late Lulu Carroll, who was a 2001 All-Ireland senior medallist with Laois. Edel, from the Doonbeg Ladies Football Club in County Clare, continues to play the sport as well as volunteering in various roles. She is the current Club secretary and has held this position for over 13 years. Edel, who is described as the backbone of the West Clare Club, has also trained county underage teams and she was a member of the management team when the Banner County won the 2012 Munster and All-Ireland Minor B titles. The Volunteer Hall of Fame winner is Philip O’Hare, who is synonymous with Ladies Football in county Down and beyond. Philip played an integral part in the formation of the Ulster Council in 1992, and he has held various positions on the provincial body. Philip, the first chairperson of the Down county board, was also heavily involved in the formation of the Iveagh Bosco club, and he was team manager when they won three Down Senior titles from 1994-1996. LGFA President Marie Hickey commented: “It is vitally important to recognise our volunteers, who undertake sterling work in their local communities on behalf of our Association. “As was the case last year, we received a large volume of nominations and whittling them down to settle on winners was an onerous task. “The awards event on Friday, February 22, should be a night to savour and one we are already looking forward to.